The Windjammers hold Scarborough to three shots on net in a 1-0 victory. 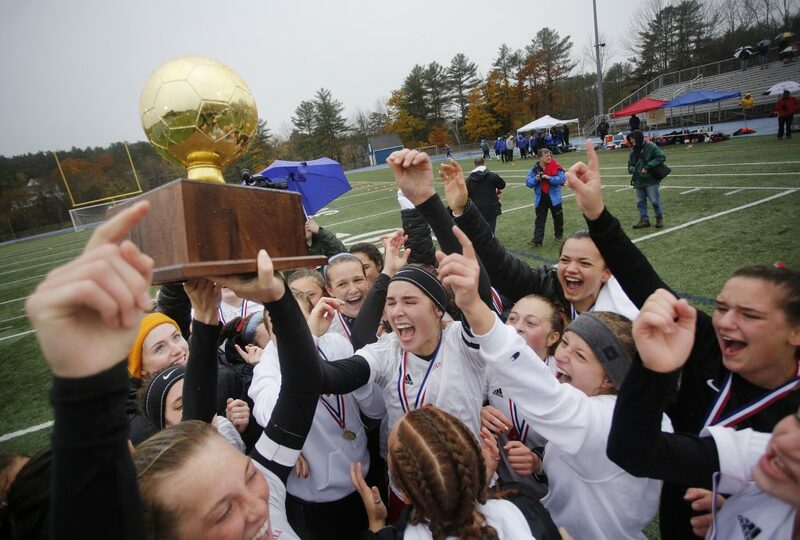 BATH — For a team known for a prolific offense, Camden Hills showed off a formidable defense on the way to its third straight state title. 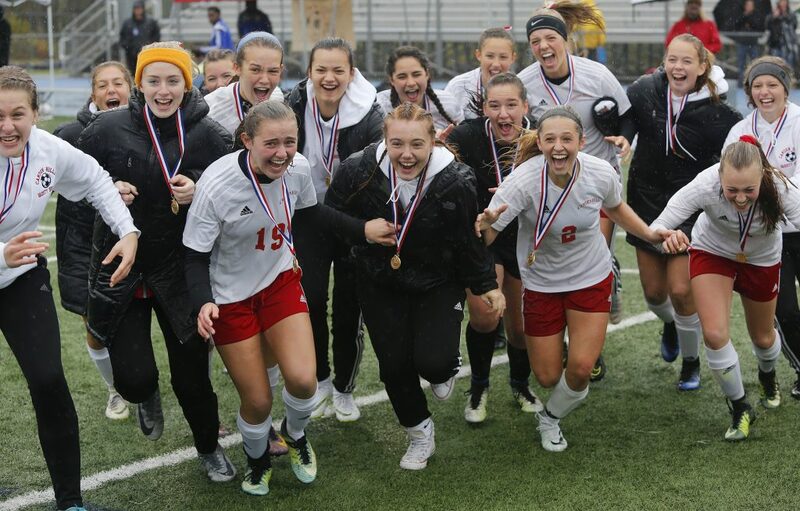 The Windjammers beat Scarborough 1-0 in the Class A girls’ soccer state championship on a rainy Saturday morning at McMann Field by holding the Red Storm to only three shots on net and nothing of particular danger beyond the game’s opening minutes. Camden Hills finishes at 18-0. Scarborough was 17-1. 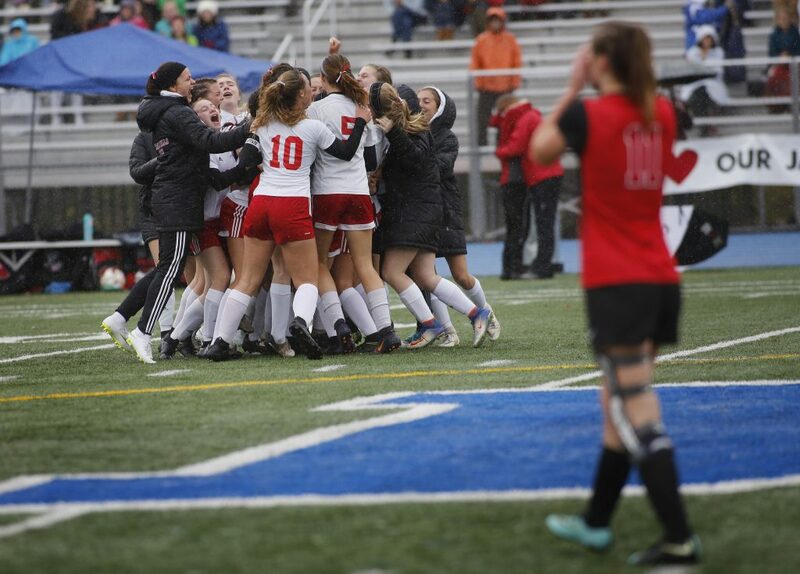 The only goal came at 12:10 of the first half when junior Ella Pierce found the top right corner with a drive from the left side, 30 yards away. Teammate Kassie Krul sent Pierce down the wing and Pierce did the rest. A 16-3 advantage in shots gave the Windjammers plenty of opportunity to extend their lead, but Scarborough keeper Nikki Young was outstanding. 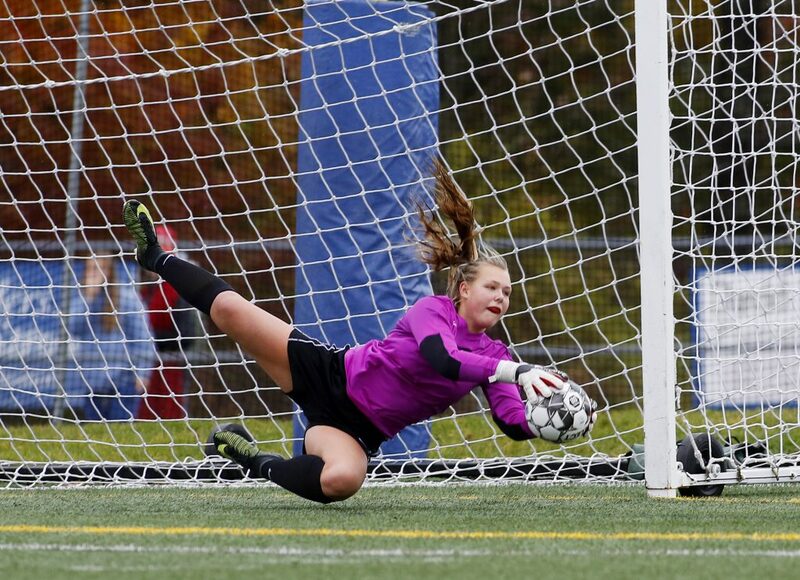 She finished with 14 saves, several of them while horizontal. Her denial of Krul’s line drive in the 77th minute deserved to be on a magazine cover, in the opinion of Scarborough coach Mike Farley. 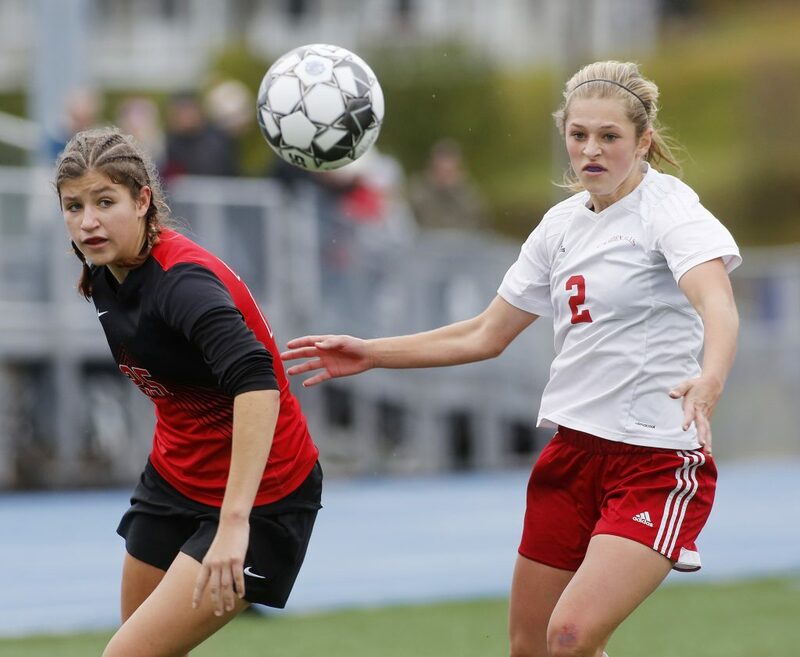 Camden Hills junior Kristina Kelly had one shot strike the crossbar and another, with Young out of net following a scramble, off the left post. Scarborough threatened in the second minute, with a shot by Molly Murnane requiring a diving stop from Camden Hills keeper Isabelle Lang. 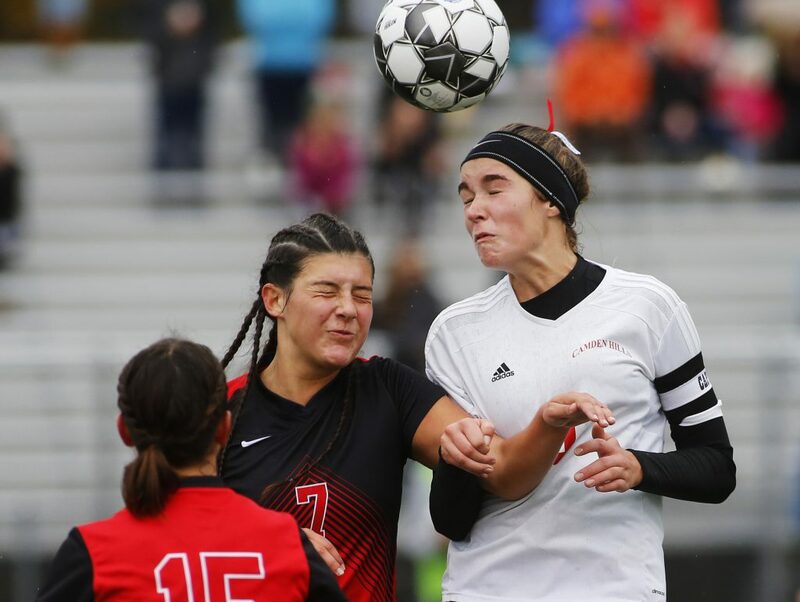 That turned out to be the best scoring chance for the Red Storm, as Lang made three saves and the back line of Blackwell, seniors Eve Gutheinz and Sarah Spizzuoco and freshman Tessa Whitley prevented any more forays. Farley said he overloaded the midfield in an effort to break the link between Camden’s midfielders and dangerous forwards. A year ago, Camden Hills held off a late rally to beat Scarborough, 3-2. Two years ago, the Windjammers beat Gorham, 1-0, in overtime. The senior class is 67-2-2.